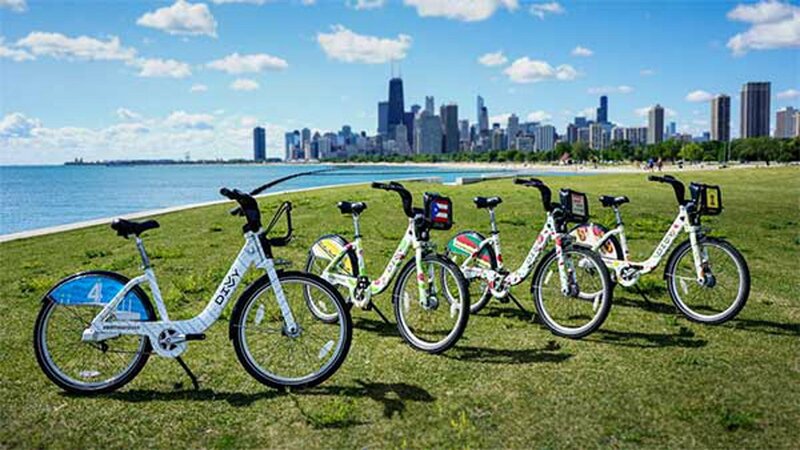 CHICAGO (WLS) -- Chicago's Divvy bikesharing program turns 4 years old Wednesday and they're celebrating with special bikes. In addition to offering $15 off annual memberships, there are four new special food-themed bicycles to mark the anniversary. They are decorated with Chicago hot dogs, deep dish pizza, jibarito sandwiches and a birthday cake. Riders who spot the bikes and post photos on social media with the corresponding hashtag will be in the running for special prizes. The hashtags are #HotDogDivvy, #DeepDishDivvy, ##JibaritoDivvy and #Birthday Divvy. To get the discount on an annual membership between Monday, June 26, and Friday, July 7, use the code "BIRTHDAY" at DivvyBikes.com/signup.